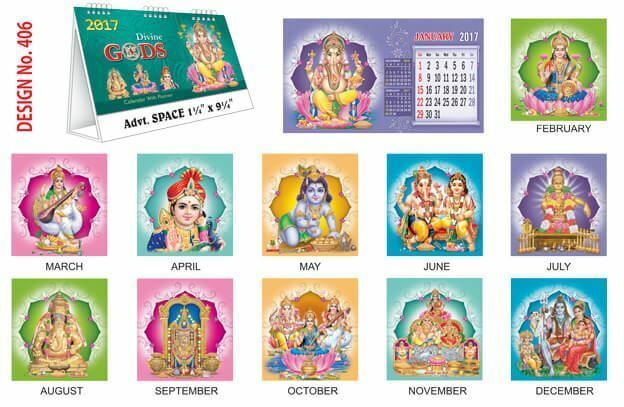 Table calendar 2017 with 12 sheet. Each sheet contains the single month with lot of space for planning your day to day activities. 12 sheet with each month in single sheet. First sheet is header sheet for the calednar. 8" x 4" (Width x Height) / 203mm x 95mm (Width x Height). 8" x 6" (Width x Height) / 203mm x 150mm (Width x Height). Size mentioned are approximate values and vary ±.5" in real. Free shipping with in India order amount should be grater than Rs. 1000. Upload your own design to get printed. Article is trimmed off if exceeds the mentioned size.